Constructed approximately 600 years ago is a masjid/mosque located in Kerala known as the Jamaat Masjid. This “Muslim shrine” is situated in the Malappuram district. Apparently this mosque was first built by a Hindu carpenter in honour of Sufi saint belonging to Yemen. In addition, a popular four day festival called “Nercha” is celebrated at this mosque annually during the month of April. Furthermore, in close proximity to this mosque lies a “mausoleum” dedicated to the martyrs i.e. Shaheed’s of Malappuram. The nearest major railway station to this mosque is located in Kozhikode i.e. Calicut. The Kozhikode Railway Station is well connected to major cities in the country. There are two routes from Kannur to this mosque, and they are via NH66 and via NH66 and Gudalur Nilumbar Kozhikode Road/Kozhikode Mavoor Areacode Road. There are three routes from Thrissur to this mosque, and they are via Thrissur Kuttippuram Road, via Thrissur Kuttipuram Road and KL SH 39. 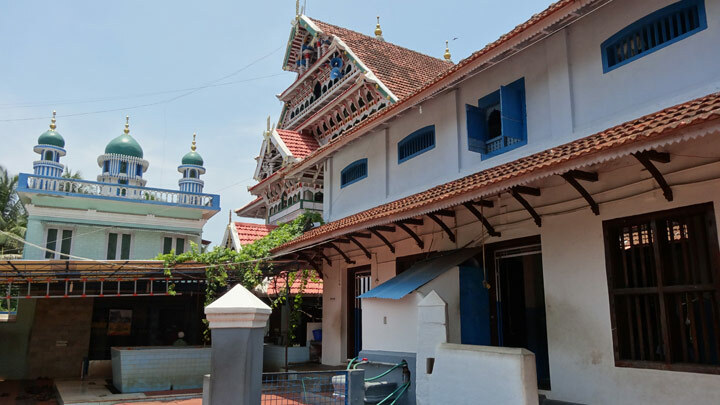 There are three routes from Coimbatore to this mosque, and they are via Kozhikode Malappuram Palakkad Highway, via Palakkad-Ponnani Road, and via Kozhikode Palakkad Highway. There are two routes from Bangalore to this mosque, and they are via NH275 and via NH948. This construction of this masjid/mosque was initiated by a Hindu carpenter to honour a Sufi saint belonging to Yemen. Furthermore, this mosque also possesses the body of the carpenter who unfortunately died during construction.